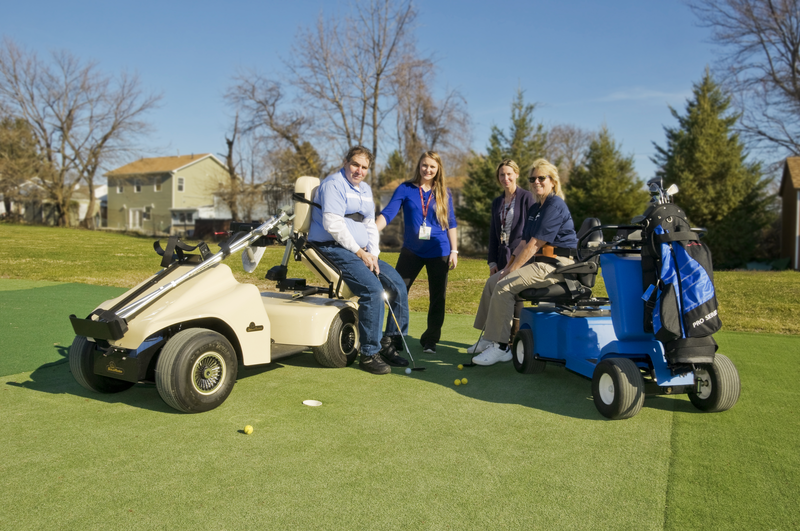 Helen Hayes Hospital Foundation provides “Smart Technology for Para Athletes” and other adaptive sports programs at Helen Hayes Hospital, including adapted golf carts, which allows disabled golfers the opportunity to stand up and meet the challenges of the sport both recreationally, and competitively. From sailing to cycling and golf to gardening, the HHH Adapted Sports & Recreation Program is a four-season initiative serving individuals with a range of abilities, interests and skills. Leisure opportunities are an important component of an active and healthy lifestyle, fostering rehabilitation, recovery and camaraderie, and the Adapted Sports & Rec Program is dedicated to offering a range of recreational and competitive events. The program reaches out to current and former patients, as well as individuals living in the community who may be interested in trying out a new activity or resuming a sport or activity they may have enjoyed prior to acquiring a disability. Prior experience is not required to participate in any activity. All activities are supervised by experienced staff, including recreational and physical therapists, taking into account individual needs and abilities. Adaptive equipment is available and used as necessary for all activities. The hospital’s clinical expertise in working with individuals with disabilities, combined with the organization’s expertise in a particular sport, creates a unique blend of knowledge and skill. The Program is open to individuals with all types of disabilities, including spinal cord injury, brain injury, stroke, cardiac conditions, orthopedic and neurological disorders. Pre-registration is required for all programs and events.